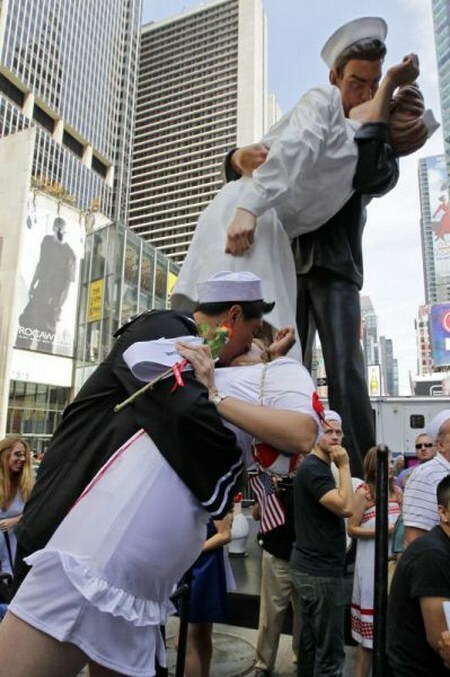 A massive reconstruction of the photo, depicting a kiss of a sailor with a nurse at Times Square. The original photo was taken by Alfres Eisenstaedt in 1945 to celebrate the end of the World War II. A statue of this incident was constructed after 1945 in Times Square to remark this event. 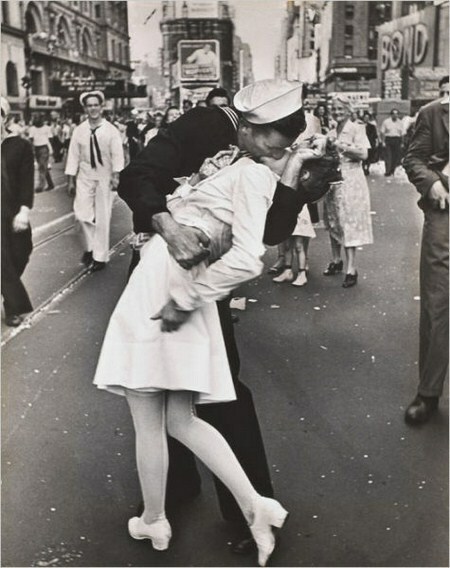 In order to recap the incident, hundreds of couples came to Times Square on 14 August 2010 to reconstruct the famous photo which was taken by Alfres Eisenstaedt in 1945.